Your clients will have questions on how to maximize their return on a real estate investment. 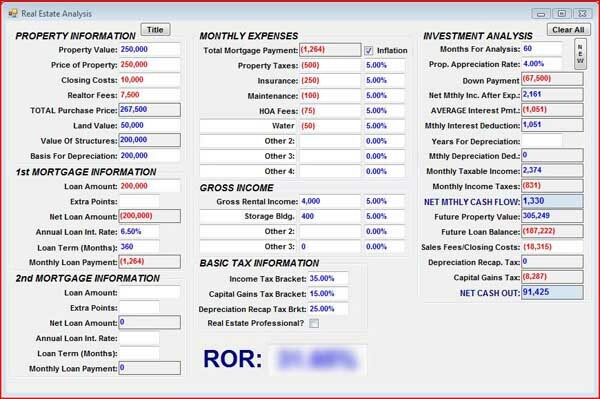 The Real Estate Analysis calculator provides in-depth calculations and analysis for real estate purchases. How do you figure out the real rate of return on your client’s dollars? How do you help them think through all of the costs associated with purchasing and maintaining the property? How do you figure out what rate of return their money is actually earning? This calculator can answer all of the above with a specific rate of return.